Yetunde Taiwo Shorters is in the business of doing the things she loves. Owner of a Miami-based PR company, Icy Public Relations, for the past seven years, she’s been graphic designing since she was a kid, so she created Icy Studio. And now, she teaches other people how to brand themselves on purpose and she does that with Icy Academy. But Yetunde didn’t stop there. She sincerely has a passion for bringing people together through, words, images and food, and that is how she created Afropolitan Chef. 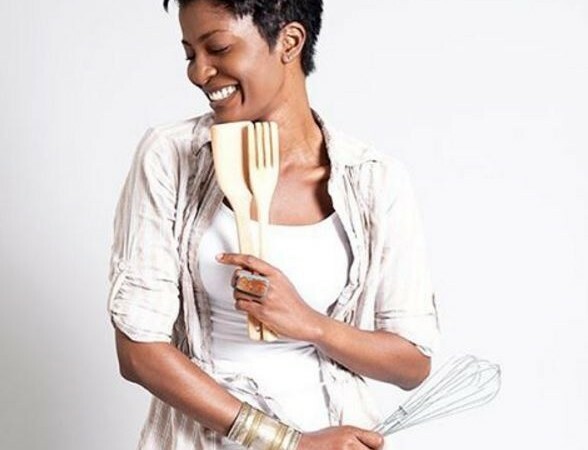 The idea of Afropolitan Chef, came from her desire to share with the world her love for food from the region of the world where she grew up, but influenced by her exposure to different world meals. Yetunde was born in Chicago, raised in Nigeria, West Africa and influenced by the world. In October 2009, she took a picture of a meal she cooked and has been posting pictures of her food ever since. Many of us are too busy to cook and the idea of making breakfast, lunch and dinner daily is tedious enough. However, we love the idea of coming together to share food with people we love. That is what Afropolitan Chef is about: tapping into the power of food to bring people together. The Afropolitcan Chef is here to help you learn to enjoy being in the kitchen and still have a full life. With three businesses, time management is something she has quickly had to learn about. Eating as healthy as possible is more fun when you are part of the process. 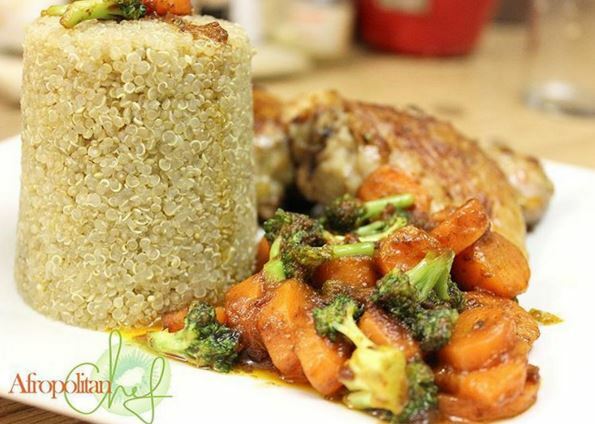 The concept of Afropolitan Chef is to help you make cooking quick, easy, fun and an enjoyable process shared with those you love. She’s found a way to share something she has been doing since she was six-years-old with the world: African-fusion meals made easy. The Afropolitan Chef Cookbook, Love With Food, contains over 50 recipes that are flavorful, colorful and healthy with calorie counts and fun tips. Yetunde’s personality engages you through every page – from her writing, which is as fun and spicy as her food, to the mouth-watering photographs that were all taken by Yetunde herself. 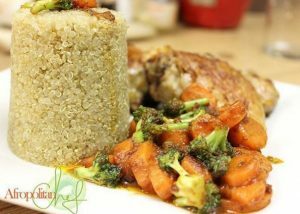 You feel the vibrancy, love and excitement for cooking tasty and healthy African inspired meals.